Kotttayam scoring against Alapuzha in a Group A Match at Irinjalakuda. Babykutty, Irinjalakuda: In the boys section Kottayam, Alapuzha, Thiruvananthapuram from Group A , Thrissur, Ernakulum and Idukki from Group B, Pathanamthitta from Group C and Malapuram from D; while from girls, defending champions Kozhikode along with Kannur and Pathanamthitta from Group A, Thrissur, Kollam and Thiruvananthapuram from Group B, Kottayam from Group C and Alapuzha from D confirmed their berths in Quarter Finals of the 31st Kerala State Youth Basketball Championship for Boys and Girls at the Irinjalakuda Christ Vidyanikethan indoor basketball court. 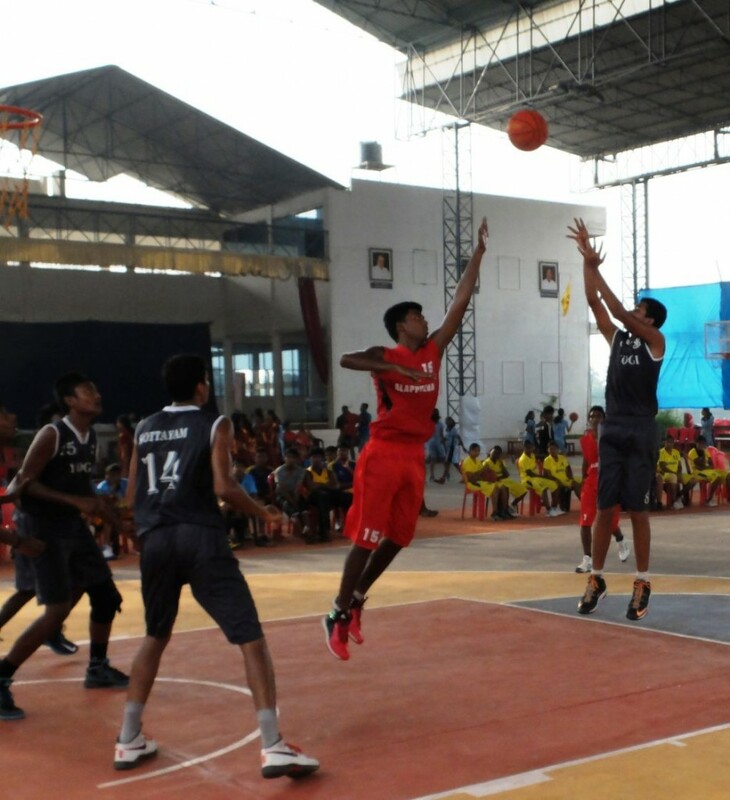 In other league matches, in the boys division Kottayam had their 2nd straight victory from Group A as they defeated Alapuzha 51-42 while in another exciting match in Group B, Ernakulum scraped past Thrissur 44-43. Also, Malapuram beat Palakkad 36-19, Pathanamthitta beat Kollam 39-9, Thrissur defeated Kozhikode 45-23, Ernakulum beat Idukki 64-46, Kottayam drubbed Malapuram 43-10 and Thrivananthapuram beat Kasargod 30-10.